Includes Dr. John’s biggest chart hits. All A & B-sides from U.S. & U.K. singles between 1968–1974. Dr. John has proven to be one of music’s foremost generalists, a primary-care cat whose practice extends back some 60 years. His expertise encompasses rock ’n’ roll, swamp pop, New Orleans, R&B, funk, jazz, and the Great American Songbook—and he’s made worthy contributions to recordings by the Stones, B.B. King, Van Morrison, Frank Zappa, Buddy Guy & Junior Wells, Buffalo Springfield, Gregg Allman, and others. The awards (six Grammys and counting) and accolades long ago validated the quality of his output, but it’s the range of what he’s done that truly impresses. These Atco and Atlantic sides were clearly the right-place right-time recordings. 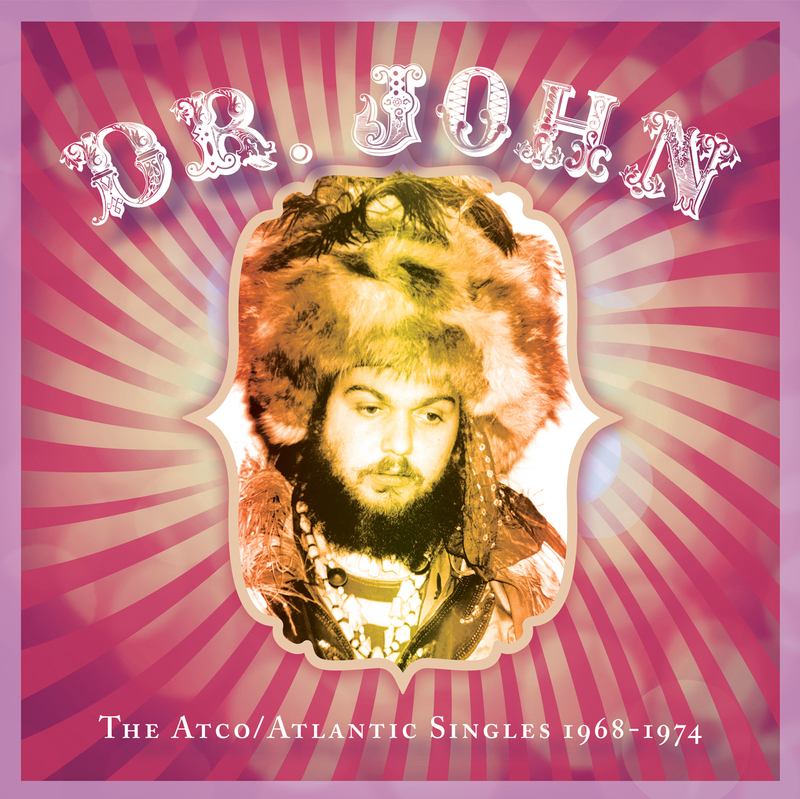 They put Dr. John on the map and into the ears and minds of music enthusiasts the world over.